For more information or to participate, send us an email using the form below. Please remember to include your name and email. We'll get back to you as soon as possible. If you do not see a reply from us within 48 hours, please check your spam folder or write to us again. Please make sure to give us your correct email address. - The awesome way to touch a Heart! God bless those hands - Philip O. - Mission accomplished - from ball of yarn to little hands...I'm all teary..with itching fingers. - Ronnie L. after seeing images of her bears in the hands of the children. 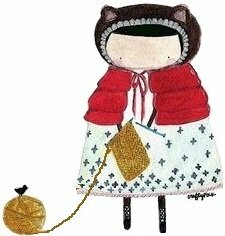 - As long as children keep needing toys, I'll keep knitting bears. I'll be knitting my little fingers off. I can't think of a better way to start the new year. - Alice S.
- I have been knitting for many years (got knitting needles for my 9th birthday-I really wanted an Elvis Presley record!) and can't not knit. Sitting down requires Addi turbos and nice yarn. I love volunteering for something that I touch and this certainly fits the bill. - Leslie J. My family sends gratitude and many thanks that my compulsive knitting has been redirected to Knitting Without Borders! - Leslie J.